In 1978, Remmy Ongala left his home in eastern Democratic Republic of the Congo (not far from the city of Bukavu) for Tanzania. He boarded a boat across Lake Tanganyika to Kigoma, Tanzania’s main port city on the great lake. From Kigoma, he then traveled by train to Dar es Salaam to eventually become one of the most famous and well-loved ‘Tanzanian’ songwriter-musicians, Dr. Remmy. 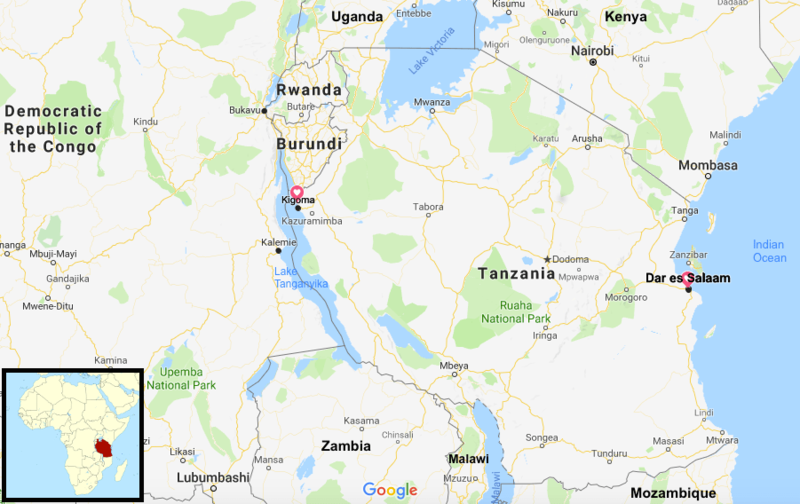 For me, that small city of Kigoma that Dr. Remmy stopped in is the closest place I have to ‘Home.’ In English, Ongala’s song ‘I Want To Go Home’ is more aptly titled, “I’m returning home,” or “Narudi nyumbani” in Kiswahili. Forever, or for a good while at least, even the word “nyumbani” (“at/to home”) will remind me of the primary school children pestering me, jumping up and down, giggling, as I walked down the dirt path towards a friend’s home in Kigoma. I would try to divert their fascination with me as an outsider, and practice my Swahili by asking them questions like, “Where are you going?” “Nyumbani…” was always the cute reply. Sometimes Americans, including my own relatives, ask me if my stay in Tanzania makes me thankful for what we have here in the United States, as if I had gone to Tanzania to affirm my so-called ‘first-world’ gluttony. Sure, there are things I’m thankful to do in California– I can go jogging without attracting much attention, make a midnight car ride to the gas station for beer and Oreos and burp in front of the computer, order anything my heart desires and my bank account can pay for to arrive on my doorstep in two days, walk the dog around my neighborhood anytime of day or night and pick up the poops with specially made plastic bags, obtain anything from chicken wings to hygiene products with hundreds of choices, fulfilling my instant gratification with self-righteous pleasure. But in America, rarely will I find– people who will lovingly greet me every morning, “Good morning, how did you sleep?” even when I’m feeling guilty for reading, writing, dancing, or drinking until 4AM and waking close to Noon; my adopted grandmother to message me in need of bread and tea while I climb onto the back of a motorcycle taxi towards the market; a church band or music beats in the back of a pickup truck prompting spontaneous dancing in the streets; relaxing in the yard on plastic chairs, chatting with neighbors on philosophy and religion until the stars come out. The idea of ‘Home’ is seldom static for most people, and many life changes yield a change in one’s perception of home– significant life events and rituals, like moving out of one’s parents’ house, work, marriages, births, and loss of loved ones to death can all potentially yield to changes in what one calls ‘Home,’ for example. Ask any mother or grandfather to count the number of ‘homes’ in their life, and there’s bound to be several, if not a couple dozen with careful recollection. Self-righteous I may be, and this is up for discussion if you feel inclined, but it would be a mistake to assume I’m self-righteous because I have a home on another continent. A ‘high and mighty world traveler’ I am not, and I have not forgotten a single thing in the land I’m preparing to travel from. Do not think I’ve forgotten who I am or where I’m from. Next ›Discipline and Modern Society: Something about Max Weber and Well-Paid Development Bureaucrats!